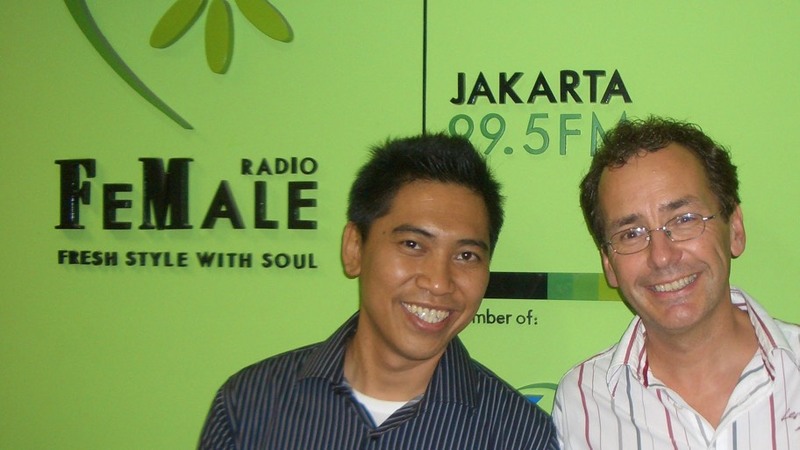 In November 2008 I was invited by Angga of Female radio 99.5 FM in Jakarta for an interview that would be transmitted entirely live. His radio show lasted 3 hours and he had planned to have me in his program for about an hour. The interview had a great atmosphere, and the listeners reacted massively, therefore he decided spontaneously to continue the interview for the entire show. We have talked about so many subjects, and I played live of course. The largest part of the interview was in English.